Set in a crumbling world plagued by disease and dark, unrecognizable creatures. 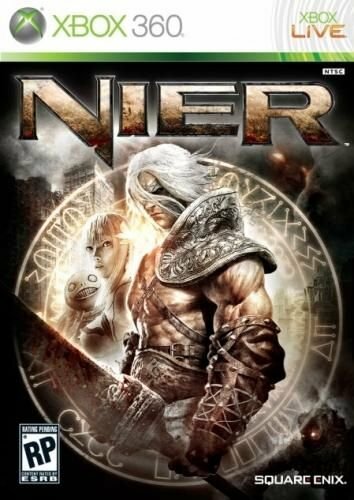 Players assume the role of the unyielding protagonist, Nier, resolute in his quest to discover a cure for his daughter, who is infected with the Black Scrawl virus. With powerful allies and a mysterious book, Nier encounters things that will confound even the mightiest of warriors. Created by Cavia and Square Enix, Nier blends both innovative and traditional RPG gameplay mechanics with an intense, bloody combat system to create an action-packed single-player experience where players explore and discover a future lost to a shadowy past. Armed with a powerful set of magical abilities as well as mighty swords and armor, players will do battle alongside a set of formidable allies against waves of dark enemies and giant bosses to discover the truth about the disease, his daughter ... and himself.